The call from Better World Books (BWB) came while I was in my hotel room during the Sigma Tau Delta 2017 International English Convention in Louisville, KY. To my disbelief, on the same day as my presentations I was offered the internship I’d set my sights on less than a year before! I took a worthwhile pause from all the enthralling essay and roundtable presentations to process. As soon as the interviewer broke the news, I went to have brunch with my Chapter Sponsor, who mentored me through the process. Stunned with excitement and honored by the opportunity, I expressed my gratitude over muffins and tea. 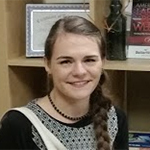 Thanks to her feedback, guidance, and initial encouragement to become involved with Sigma Tau Delta and our Better World Books drive at the University of North Georgia, I made my goal a reality. The BWB mission to support literacy and environmental sustainability across the globe is an extremely worthwhile cause, and it has been a great honor to work for such an inspiring, purpose-driven company. 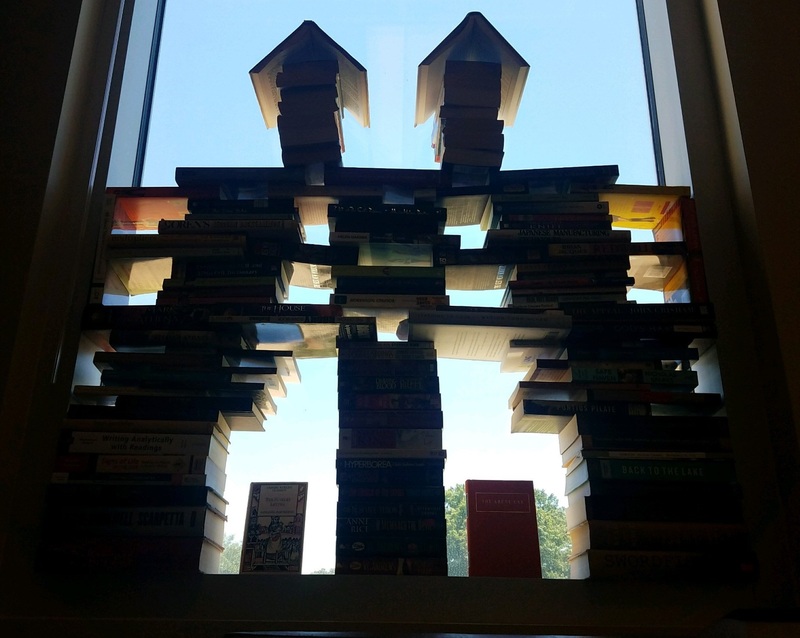 Book Castle built by Shea and fellow UNG student Jennifer Harris during their campus book drive. 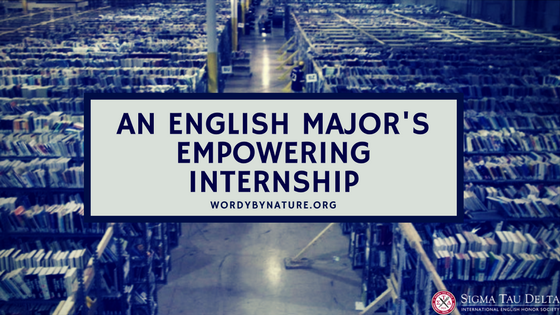 This year, BWB set the internship up as a remote, work from home and campus opportunity, so I had a unique experience (imagine nice office clothes with kitty slippers under the table). I went to the Alpharetta office only twice, for orientation on my first day and to return the provided company laptop on my very last day. At orientation, one of my coworkers helped break the ice by asking me about my electric vehicle (a 2013 Nissan Leaf I adore), which led to a conversation about my inspiration to apply for the internship: the company’s mission to support the environment and literacy simultaneously, addressing some of today’s most important social issues as a foundation of their business model. Although I already lived in the area, my two drives to Alpharetta built my confidence that my Leaf could make it to Atlanta in one charge. Since then, a friend and I enrolled in an improvisational theatre class at a place called Dad’s Garage—about thirty minutes from BWB—to work on our acting and public speaking. What a blast! I might have never found the courage to explore what the city has to offer if I hadn’t driven to the BWB office. 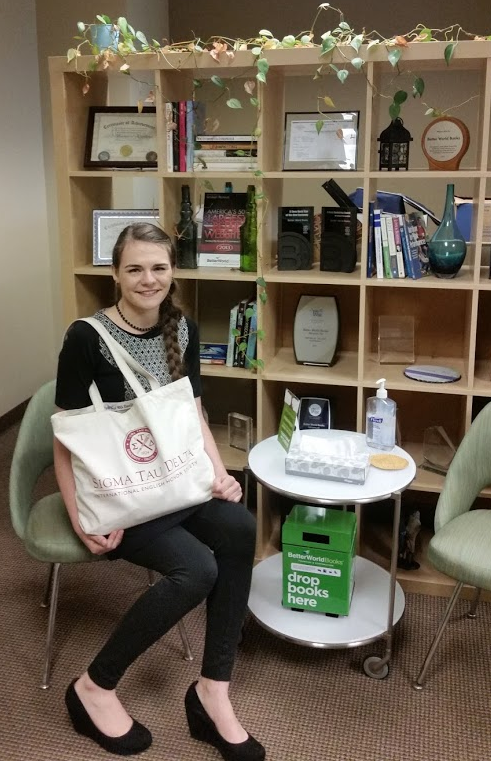 Shea at the Better World Books office with her Sigma Tau Delta tote bag on the last day of the internship. As a marketing intern I worked mainly under the supervision of the director of sales and operations and members of her team. My training began immediately with plenty of practice on Webex, a corporate video meeting platform, where I met with people from various divisions across the country and abroad. As a global bookseller and social enterprise, BWB has offices in Georgia, Indiana, and the United Kingdom. They coordinate the collection of donated books diverted from landfills and the distribution of those books to their new homes when purchased from betterworldbooks.com or their other marketplaces. The internship offered valuable insight into how a company communicates and collaborates globally, and I learned how to avoid schedule conflicts across time zone differences for video meetings with coworkers and phone interviews with campus book drive leaders. That brings me to my assignments. My favorite side-projects included writing press releases about Wordsworth the Bookmobile, library grants, and non-profit literacy grants, as well as editing client testimonials, email templates, and other marketing materials. For the main focus of the internship, I was tasked with the collection and analysis of data gathered from campus book drive leaders’ feedback to ensure the continued efficiency of the Campus Book Drive program. 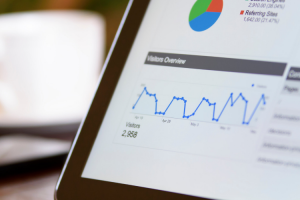 To begin this market research, I sent invitations to hundreds of book drivers to participate in phone interviews and online surveys, then summarized the data along with my interpretations in a slideshow. I also devised two original strategies to solve book drive problems and presented the research to the Vice President of Global Sales & Marketing. 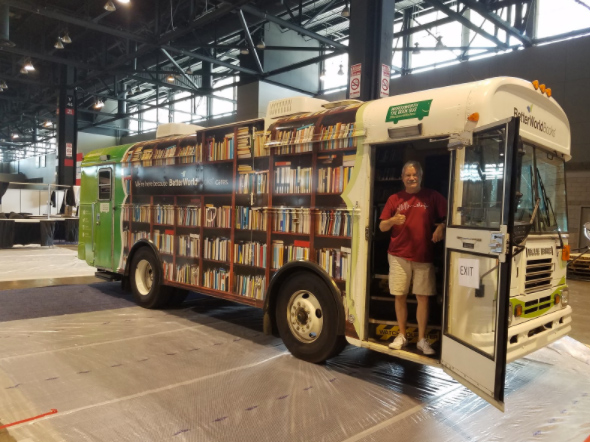 Wordsworth the Bookmobile at the American Library Association 2017 Convention. My mentors’ comments and questions helped me gain confidence in my presentation and business strategy skills, and I was pleased to hear they were impressed by the speed, passion, and thoroughness of my work. 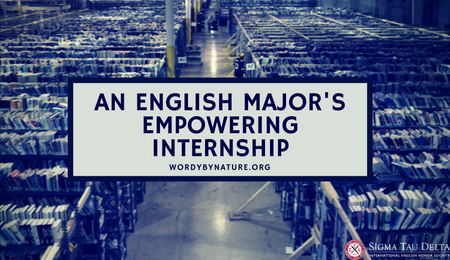 The response I received from the internship overall has helped me realize that I am a capable asset and talented writer, able to take the skills learned from my English Writing & Publication major and Psychology minor and apply them to business. Next up, I’ll add this experience to my resume with joy and gratitude to Sigma Tau Delta for providing the support that would allow me to focus on the internship as my sole employment during the six-week venture, and continue to build my experience as a freelance writer, editor, writing consultant, and private tutor until I embrace my next opportunity in the field of publication. Thank you, University of North Georgia, Sigma Tau Delta, and Better World Books! 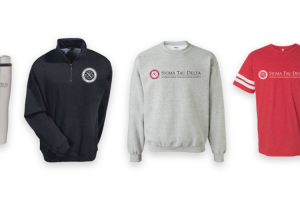 Sigma Tau Delta chapters will earn $1 for every accepted (A-List) book. act locally to reduce waste in their local community. 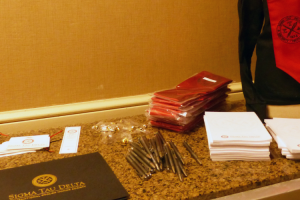 chapters can be part of the top Sigma Tau Delta BWB Drive list. Visit the NEW Textbook Drive Resource Center to start your book drive today! Have You Met Your Extended English Family?